My urban garden interests me because I see that it provides ecological value. I can see that roof and city gardens are a haven for bees and other beneficial animals that I find a joy to look at. While this fauna is struggling to survive in the countryside where there is lots of monoculture vegetation and an abundant use of pesticides, I enjoy seeing it thrive in my garden. 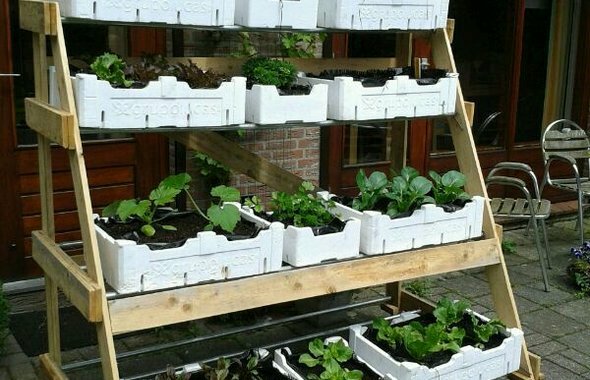 Urban gardens also form a natural water buffer and has a positive effect on heat regulation. I can see the rainwater that makes the plants grow and that the runoff flows into the environment in a controlled manner, making a huge difference in sewage control and growing beauty at the same time. In cities, I can see that urban gardens reduce the urban heat island effects, and I notice the the air being cleaned by filtering out particulate matter, making for cleaner, fresher air around my house. 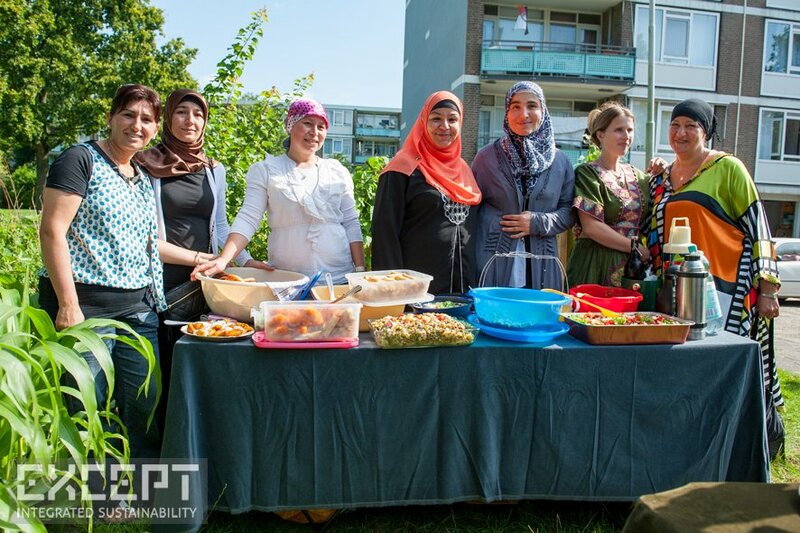 By far the most important effect of urban gardening is a changing perspective regarding the nature of food and society. I raise my plants indoors, take them outside at the right time, water them on time, and learn from failed experiments. It's made me look differently at the tomatoes in the supermarket. It made me understand the world better. At the same time I enjoy its social function, as a meeting place for my neighbours, colleagues, and peers. I love the new conversations and connections with people it gives me. Urban gardening makes me throw away less food, makes me aware of the effort it takes to produce food, and makes me value a rich taste. Newly sprouted cherry tomatoes, the sweet taste of fresh picked strawberries as well as your friends’ happy faces when you share your harvest, are all very rewarding and make it worthwhile to me. Even though a roof garden, like mine, doesn't make much economic sense (I'm not pretending to save a lot of money), but I love it from a personal perspective. Tending a roof garden inspires me to start organizing our food production and society more sustainably. I see that the indirect impact of an urban garden is substantial and that the effect reaches much further than my plate. And getting away from the keyboard and getting my hands dirty is actually pretty nice. Gul's urban garden provides her family with fresh vegetables, with excess to spare. In this Urban Greenhouse baby plants are incubated to spread around the neighborhood. 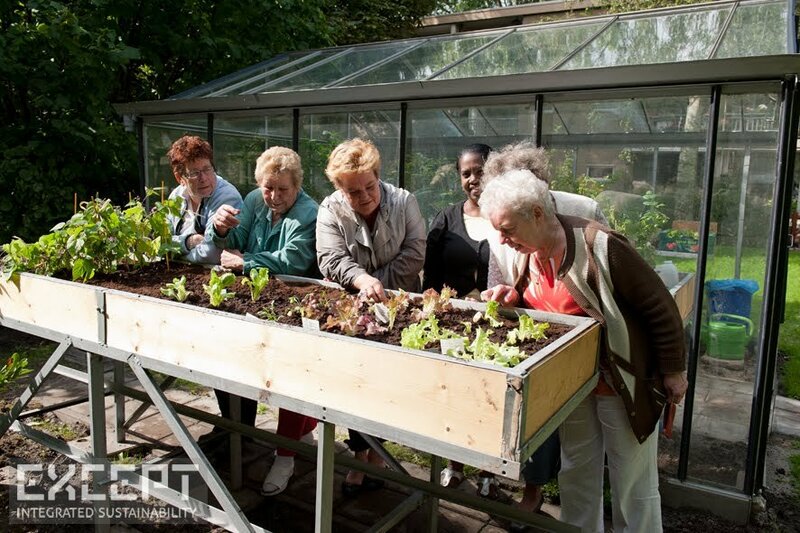 Local residents working together in the Schiebroek-Zuid urban gardens.